Honda has a long and impressive history in the Australian car market, and despite a period of ‘beige’ cars (according to its Australian CEO), the company is back to doing what it does best – delivering cars which appear more engineering-driven, rather than inspired by ‘thought bubbles’ from the marketing wankers. On my first official visit to Honda in Tokyo back in 1986, I was one of the first PR executives from an ‘outside’ company to be shown over both its manufacturing operations and its impressive R&D facility at Wako. Back in 1974, when I tested the first Honda Civic I clearly remember being very impressed with the car’s rigidity, performance and handling. I had become used to small European cars, which because of their focus on fuel economy, would barely pull the skin off a rice pudding. The Honda Civic was a revelation in small car terms. Despite its cheap-looking interior, the Civic spearheaded another Japanese assault on western markets. 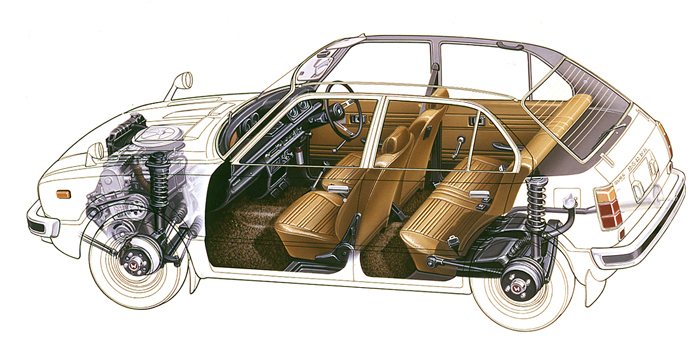 Its packaging was as impressive as the original Mini; and its engineering integrity was faultless. Like many Japanese predecessors the Honda Civic won a reputation for reliability, low cost of ownership and economical performance. 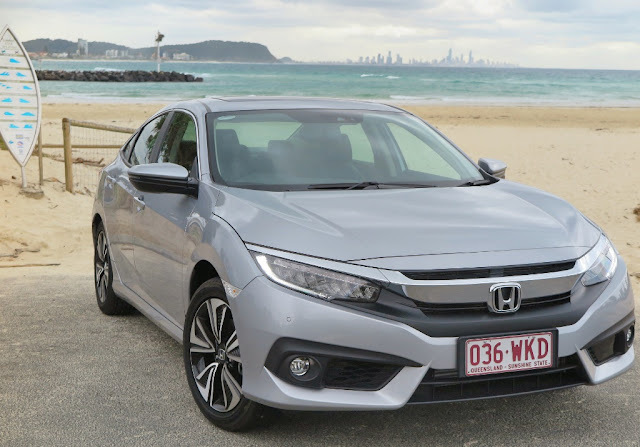 However, up until 12 months ago Honda’s position in the Australian market looked fairly shaky. The only models which showed any sort of sales stability are the Jazz light hatchback; and the Odyssey people mover. 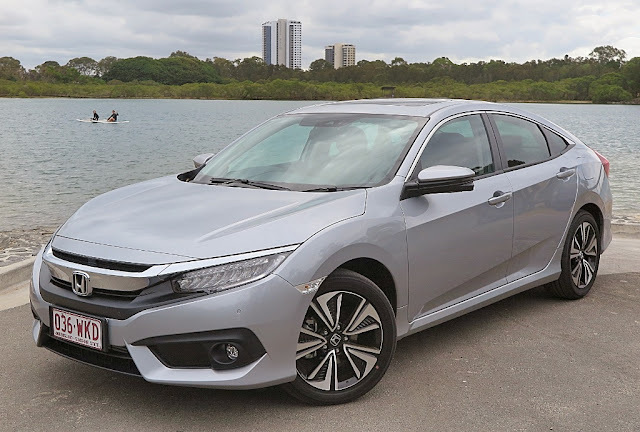 Despite Honda’s impressive design, engineering and manufacturing integrity, the company has simply become a victim of a voraciously active and highly competitive market. The City and Accord barely sell enough to be useful, and until recently Honda has waffled about simply trying to remain relevant – especially with a huge effort by Hyundai and Kia eroding its previously strong position. So, here we have the 2016 Honda Civic sedan (the hatch comes later), and it’s a very impressive package. 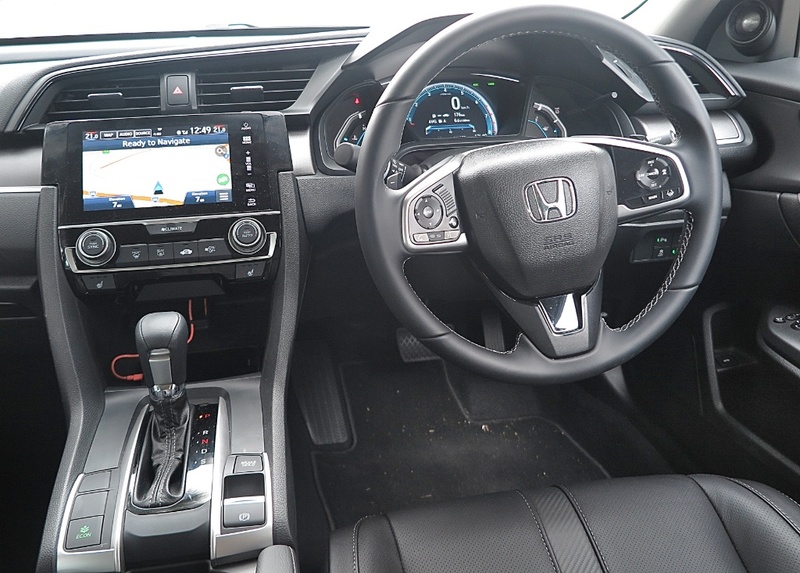 The ride and handling is superb; interior room is excellent and fuel economy very impressive (average: 6.6 L/100km). 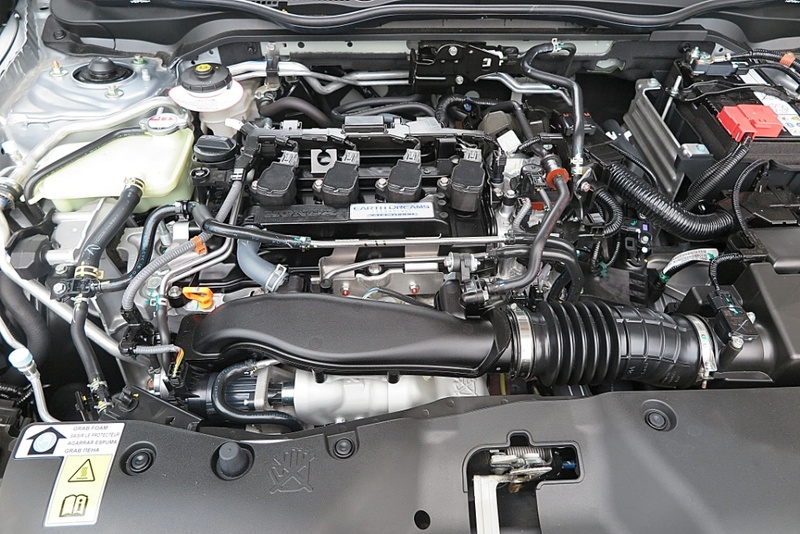 In the Vti-LX featured here, the 1.5L turbo-charged engine gets a little breathless when stretched, but as a ‘town’ car, the new Civic is almost unbeatable. ‘Beige’ it ain’t. 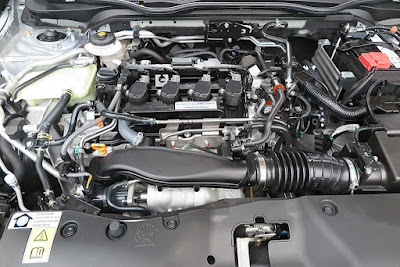 The CVT transmission is smooth, and efficient. The car comes with steering wheel 'paddles', but quite frankly, they're an affectation. Don't bother with them. You get all the flexibility you'll need from the CVT left in 'Drive'. The interior is conservatively, but tastefully styled. The cockpit is a pleasant place to be. And the instruments and touchscreen are clear and well-placed. In equipment terms it's very well specced. You won’t buy this car for high-speed interstate driving, but in its accepted milieu it will not disappoint. 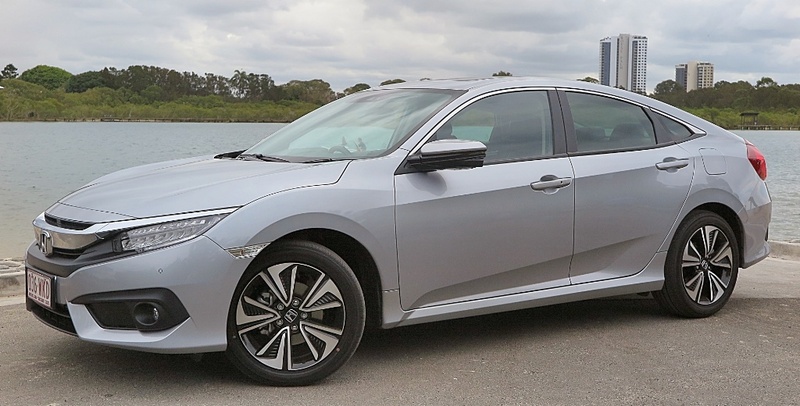 The new Civic is quiet on the road, thanks to excellent Yokohama tyres, the ride is very comfortable, and the turn-in and handling is pin-sharp. You may or may not like the styling. It seems best described as 'geometrically angular', so the rather contrived bulges in the side panels seem like overkill in trying to strike a difference between this car and its competitors. I actually think the styling is a bit 'busy', but, hey. It’s different. Gotta give Honda points for trying to stand out. My other observation with this new Civic is the subject of ‘model creep’. 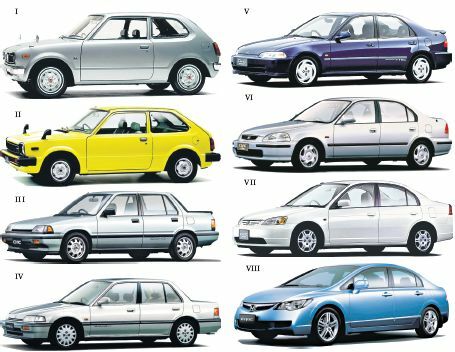 Just have a look at how the Civic has grown over the years. Another nameplate on steroids! 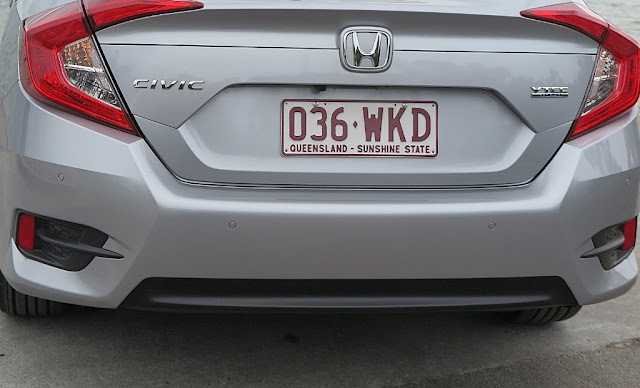 However, my biggest issue with this car is Honda Australia’s pricing policy. Launching this car into a market which remains volatile and cutthroat, Honda is proudly announcing a ‘premium price positioning’. The car I’m driving has a pricetag close to AUD$34,000 – and that’s before the on-road costs. I’m sorry guys, I think it’s a bit steep. 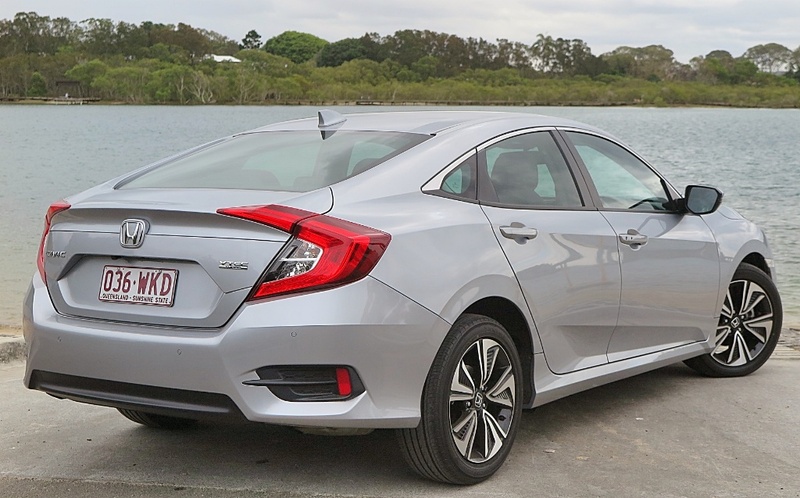 Despite the integrity of the overall package, standard equipment and impressive design and build quality, I don’t think Honda Australia is in danger of selling enough Civics to meet its forecast. Don’t get me wrong. I think it’s great. 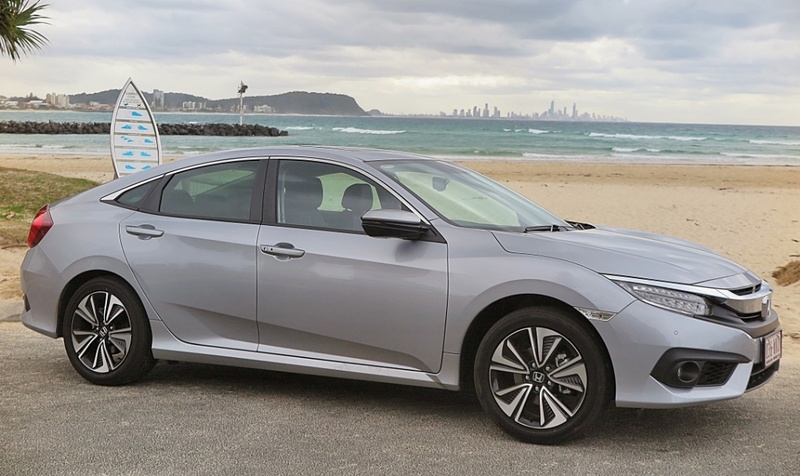 This Civic is one of the most enjoyable small Japanese cars I’ve driven in recent years – that is, apart from the impressive Mazda SkyActiv cars. On reflection however, overall I think this car could be easily selected to compete in the Car of The Year. But, if Honda Australia is looking at taking a lead in a sales race, I think it will have to trim its prices. Otherwise, there’ll be tears before bedtime!